Welcome to the January 2012 Close to My Heart Spotlight Blog Hop! 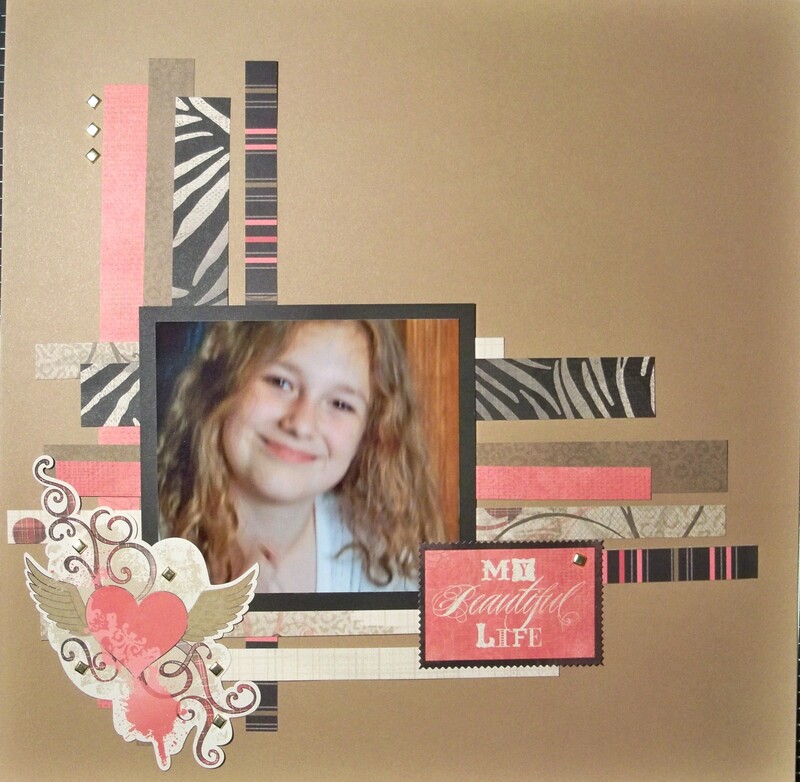 This month we are focusing on SCRAPS. Ever have scraps of paper or pieces/parts of embellishment packages leftover from your original project that you don’t know what to do with? Hopefully this blog hop will inspire you with new ways to create with these pieces! And it comes at just the right time because we all want to use up our supplies before buying more and the new Close to My Heart 2012 Spring/Summer Idea Book is just around the corner – release date is February 1st, 2012. 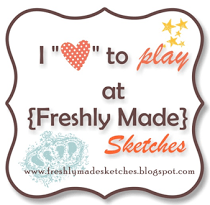 This blog hop is a circle so if you are just starting, continue until you make your way back here. If you are coming from Laurie’s Blog, you are on the right track! Supplies used: Roxie Paper Packet, Roxie My Stickease, and square-shaped gold brads. This layout was so simple to put together and I am very pleased with the result. There were not many scraps left by the time I finished the Roxie Workshop layouts and bonus project (come back to my blog on Thursday to see more) but this just goes to show how you can stretch those last scraps to create just one more layout. 🙂 I was looking for additional embellishments and at first I chose the brads because they are my stash buster for this month….I liked the gold but I only had the square ones which I don’t normally use. If it hadn’t been for this I never would have picked these but I love them on this layout. The picture is blurry, yes, but I just love this photo of my daughter who rarely wants her picture taken anymore. Thanks for stopping by! Your next stop is Luisa’s Blog! Gorgeous layout! I love how you used the paper strips to highlight your photo.